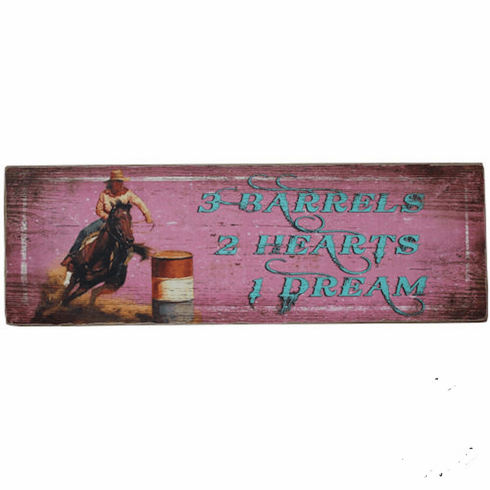 Barrel Racing Wooden Sign "3 Barrels 2 Hearts 1 Dream"
Home | Wall Decor | Barrel Racing Wooden Sign "3 Barrels 2 Hearts 1 Dream"
A great rustic sign painted on pine. Vintage look and rustic feel. Hangers attached Measures 24" x 8"